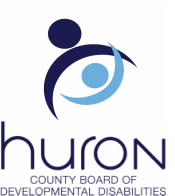 The Huron County Board of Developmental Disabilities is the primary agency for serving individuals with developmental disabilities in our county. While you may not be familiar with our official name, you are no doubt familiar with our AKA - Christie Lane. We are frequently referred to as Christie Lane because our sheltered workshop is known as Christie Lane Industries and our school is named Christie Lane School. We are a group of forty artists motivated by a desire to express ourselves through the visual arts in the AOS Painting and Ceramic Studios. Although we have various developmental disabilities, a common creative spirit of respect enhances our relationships with the local artists who attend our studios and exhibit art with us. Huron County, Ohio, is home to approximately 60,000 people and covers almost 500 square miles ranging from small cities and villages to completely rural areas- the perfect place for companies looking to expand, diversify or create new businesses. 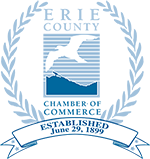 The Huron County Chamber of Commerce is an association of business and professional people dedicated to serving the needs of area business and industry, fostering economic growth and development, and enhancing the quality of life in Huron County and the surrounding areas. The Bellevue Area Chamber of Commerce is a professional association consisting of regional and local businesses and individuals organized for the specific intent of promoting a healthy, vibrant and strong local economy, thereby enriching the community’s quality of life. The Huron Chamber of Commerce is a vital and supporting link for our businesses, encouraging involvement and networking in our local Community. Through an assortment of events and committee project opportunities, you and your company will work hand in hand with other respected business leaders. The mission of the Willard Area Chamber of Commerce is to promote business, economic growth, and development along with improving the quality of life in the Willard Area. The goal of the Milan Chamber of Commerce is to provide projects and programs, which benefit the business community and enhance the unique quality of life in Milan. The Ohio Department of Developmental Disabilities (DODD) oversees a statewide system of supports and services for people with developmental disabilities and their families. DODD does this by developing services that ensure an individual’s health and safety, encourage participation in the community, increase opportunities for meaningful employment, and provide ​residential services and support from early childhood through adulthood. ACCSES is an elite network of over 1,200 organizations that provides exceptional services to people with disabilities across the United States. Our work empowers and supports individuals with disabilities to reach their full potential through self-determination. The PSG network provides and shares resources to support QUALITY Disability Services in Ohio through supporting best practices of service delivery and business sustainability. Equitas Health (formerly AIDS Resource Center Ohio) is a not-for-profit community-based healthcare system founded in 1984. TASH is an international leader in disability advocacy. Founded in 1975, TASH advocates for human rights and inclusion for people with significant disabilities and support needs – those most vulnerable to segregation, abuse, neglect and institutionalization.